Includes fan harness, Hella 40-amp relay with socket, fuse holder, and instructions. The relay can be triggered by a switch, thermostat, or ignition. 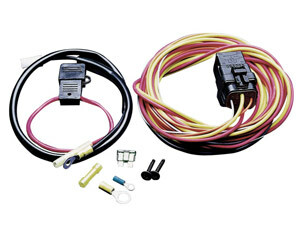 Designed for long life in any operating condition, this is the highest quality relay kit we sell.